Latest News! 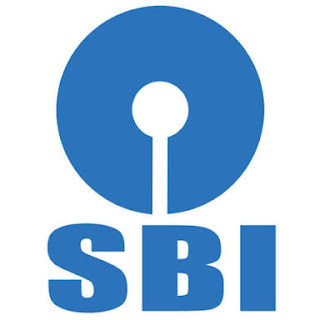 State Bank of India (SBI) has released SBI Clerk Admit Card for 2018 Prelims Exam. SBI will be organizing SBI Clerk 2018 prelims exam for the post of Clerical Cadre shortly. The SBI Clerk Prelims Exam is scheduled on 23rd, 24th, and 30th of June 2018. State Bank of India Recruitment 2018: – SBI has issued a notification for the recruitment of Junior Associate (Sales & Support Customer) Vacancy at 8301 posts.Interested candidates may apply by 10th February 2018. The prelims are the phase one of the selection processes. After you qualify this phase you will go through the phase 2, the mains. Below table indicates the dates of the availability of the SBI 2018 Admit Card for prelims and main examination. 1. Candidates age limit should be 20 years to 28 years. 1. Starting date for Submission of Application:- 20th January 2018. 2. Last Date for Submission of Application:- 10th February 2018. 3. Pre Exam Date Admit Card:- 3rd March 2018. 4. Pre Exam Date:- March/April 2018. 5. Pre Exam Result Declared Date:- After 20 to 25 days of Exam. 6. Mains Exam Admit Card Release Date:- 26th April 2018. 7. Mains Exam date:- 12th May 2018. 1. For General/Others Category Application Fee Rs. 600/-. 2. For SC/ST/PWD Category Application Fee Rs. 100/-. If you are visiting the official website, you will have to find the current openings link, Click on it. The next page will contain the download admit card/call letter for prelims. Click on it. It will redirect you to the login page as Enter your login details and click login. Your admit card/call letter will appear on the screen. Download and take a print out of the same. Eligible candidates may apply through the website sbi.co.in by 10th February 2018 or Click on the below How to Apply links. 1. Candidates will be selected based on Online Test (Pre & Manis Exam). No documents except for the SBI clerk 2018 Admit Card will be allowed inside the centre. If any candidate is found indulging in suspicious activities, will not be allowed to take the examination. Mobile phones, calculators or any other device will not be allowed inside the exam centre. Candidates will have to carry certain documents along with the SBI 2018 Admit Card for Prelims. Stay Connected with us for further Banking Govt JobsShare this article, if you Love it!